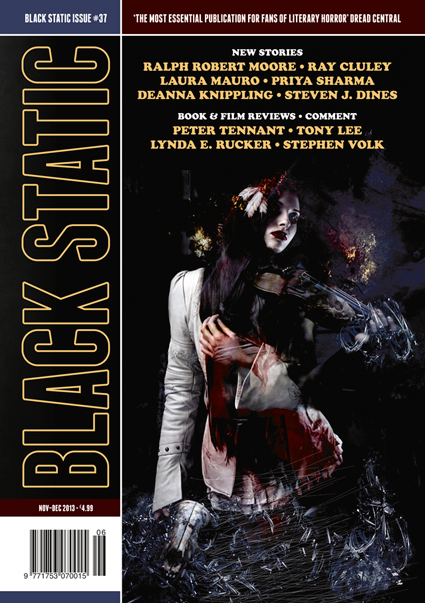 The November–December issue Of Black Static is now out and contains new horror and dark fantasy fiction. 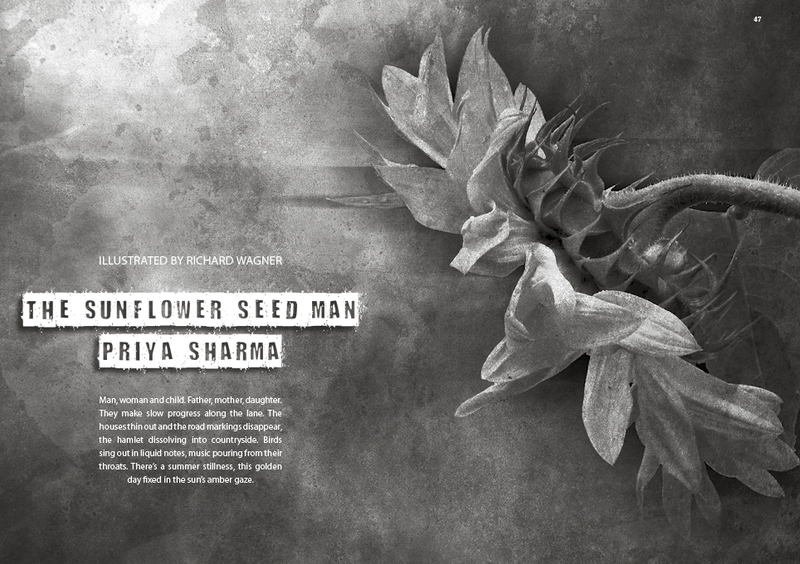 My story, The Sunflower Seed Man, is included alongside work by 2013 British Fantasy Award winner Ray Cluley, Laura Mauro, Ralph Robert Moore, DeAnna Knippling and Steven J. Dines . The cover art is by George Cotronis, and interior illustrations are by Richard Sampson, George Cotronis, Richard Wagner, David Gentry, and Joachim Luetke. The usual features are present: Coffinmaker’s Blues by Stephen Volk and Blood Pudding by Lynda E. Rucker (comment); Blood Spectrum by Tony Lee (DVD/Blu-ray reviews); Case Notes by Peter Tennant (book reviews). Issue 37 of Black Static will be out soon but here’s the illustration for my story, The Sunflower Seed Man, which is included. The artwork is by Richard Wagner and you can read an interview with him here.